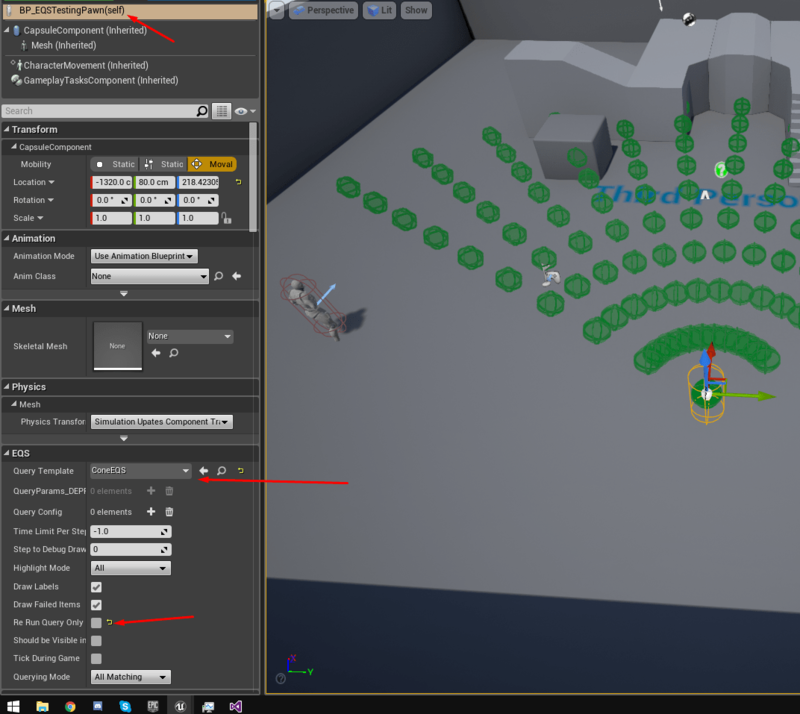 This post was written in 4.13 version of UE4. In case you’re using a different version you may need to adjust the code in order to match with the corresponding API changes. Our generator will create a cone in front of our AI pawn. Please note that in this case we won’t create a Pawn with custom behavior, instead, we’re going to use an EQS Testing Pawn. These Pawns help us test our EQS logic faster, since we don’t have to play or simulate our game. 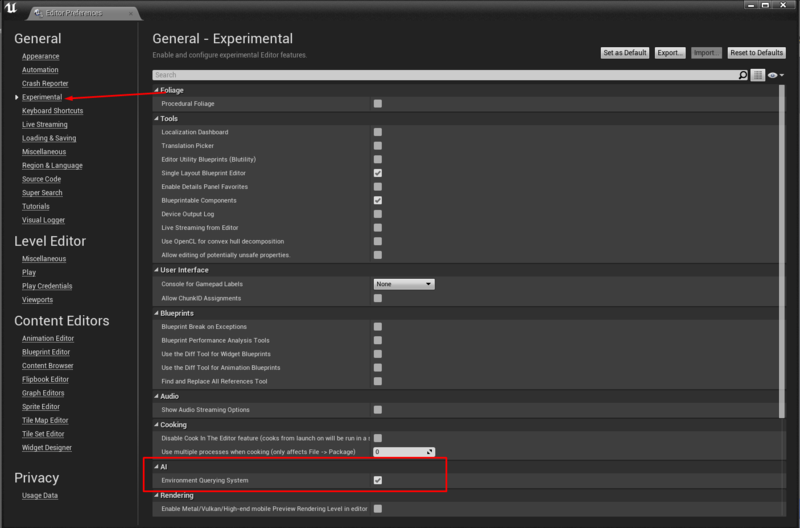 Edit -> Editor Preferences -> Experimental -> AI. //If the angle step is zero we're going into an infinite loop. Notice that we didn’t call the Super::GenerateItems function. This is because this particular function is designed to be overriden completely. The default implementation should never be called, since it’s designed to throw an error. Moreover, you should disable the Re Run Query Only on Finished Move for a more smooth display of your EQS while moving your Pawn. At this point you have created your own generator! Temper with the values we exposed to the editor to have different results! If you’ve made it this far, thank you! thank you for another great tutorial. I am actually trying to create a generator that finds all weapons that are not already held by someone else. How would I return the weapon found to the behavior tree from the generator? I would basically need a alternative to StoreNavPoints, which you are using. EQS Generators are used in order to “ask” the environment various queries. 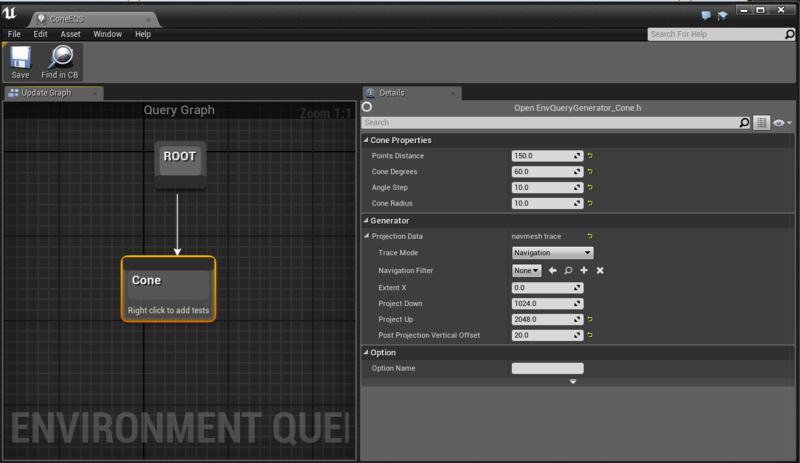 From your description I think that it would be best to create your own Behavior Tree Task instead of an EQS Generator. thanks for the reply. Sorry it took me so long to get back. I want to ask the environment where all the unused firearms within a certain area are. Wouldn’t that exactly be what the eqs is for? I am already using it to help the AI find cover, but in the case of the firearms I have one boolean condition, which is: not picked up.